Martin Eberhard in 2006. Photo credit Nicki Dugan/Wikipedia CC. According to a report by Electrek, ECE ILLINOIS alumnus and Tesla co-founder Martin Eberhard (BSCompE '82, MSEE '84) made a comeback into the electric vehicle market earlier this year with his new startup InEVit. China's SF Motors, which recently launched in the U.S., has announced that they acquired Eberhard's startup. Eberhard won a departmental Alumni Award in 2008. In addition to the report, Eberhard's work at InEvit is reminiscent of his early work with Tesla, especially concerning his focus on battery module technology. Following his departure from Tesla, Eberhard led Volkswagen's electric vehicle development for a short time and then joined some of his former Tesla colleagues at Atieva, now known as Lucid Motors, before leaving in 2015. He then worked as a consultant for SF Motors as it was about to enter the U.S. market. 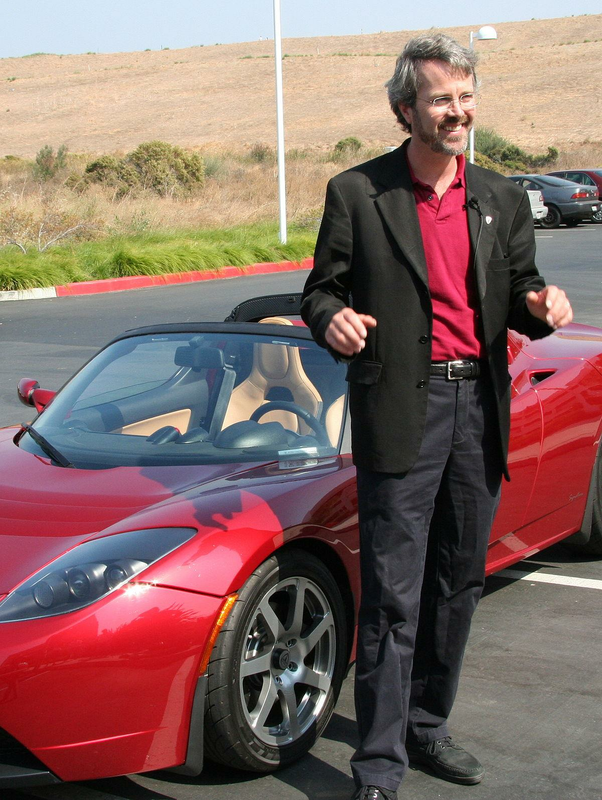 The article in Electrek explains that he will be taking up a new role in SF Motors along with members of his old team, Heiner Fees, a former engineer at Bosch and now "Founder/VP Engineering & Managing Director of InEVit GmbH," and Mike Miskovsky, a serial green tech entrepreneur and former CEO of Zep Solar, which was acquired by SolarCity - now Tesla. With SF Motor's official launch and inauguration in Silicon Valley, their recent acquisition for the former Hummer factory in Indiana, and the support of China's Sokon, it appears the SF Motors has big plans for the future. Read the original article on the Electrek website.